Limited time offer for Cleaning Service in DC -- 30% off your first booking! Founded in 2012, Handy is committed to connecting the people of Washington DC with professional cleaning services. Our platform strives to be both personal and professional, and your cleaner will work hard to make your home spotless so you can enjoy those rainy days inside without feeling like you live in a pigsty. Instead of spending hours mopping your floors and cleaning your kitchen, you can spend more time doing what you love when you book the best home cleaning services in Washington DC. Why choose Handy when you need home cleaning services in DC? We take pride in our professionalism and quality, helping homeowners and tenants enjoy more free time away from their household chores. Cleaners found through the Handy platform are also much cheaper than many other cleaning services in Washington DC, so you can rest assured you’ll receive the best home cleaning services at the lowest price. We can schedule you fast. If you have a big occasion to prepare for, whether it's an anniversary or a family dinner, we can get your home clean and tidy by as early as tomorrow. We strive to give you the best cleaning services at the most convenient times. So whether you’re looking for a full house clean with a few extras tacked on, or just a standard weekly cleaning, just use our website or the Handy app to find the best providers of cleaning services in DC. 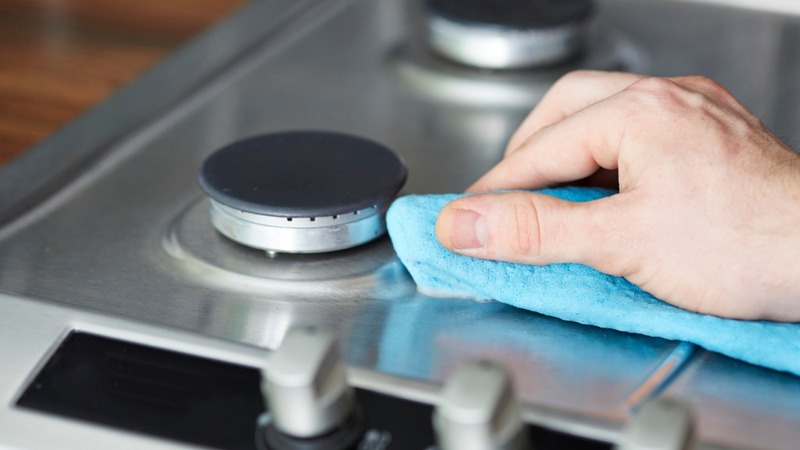 We can also arrange cleaning extras if your appliances (freezers, fridges, or ovens) need special attention. Who can use professional Washington DC cleaning services? Home cleaning services through Handy are for anyone who wants to live in a clean home and still enjoy plenty of free time to do the things they experience in life. We serve people all over DC, from West End and Logan Circle near the heart of the city to Bloomingdale and Georgetown. For example, if you’re a family living in a beautiful, spacious home, you know how tricky it is to stay on top of all your vacuum cleaning, mopping and other chores if you have to commute to Capitol Hill every day. When you arrange cheap home cleaning services in Washington DC through Handy, you'll get more time for leisure and relaxation. With the Handy app, you can book a cleaner at the click of a button. Plus, we offer a Handy Happiness Guarantee, which means we’ll work hard to make things right in the unlikely event that you’re unsatisfied with our service. Washington DC is something of a paradise for politics junkies and culture seekers alike. As you might expect, it’s a very popular travel destination, with over 19 million domestic tourists each year. If you’re hosting family and friends in Washington, you’ll know how challenging it can be to make sure everything is in order before they arrive. With access to professional cleaning services in Washington DC, Handy can help you take care of all those boring and time-consuming cleaning tasks. Don’t waste hours mopping your floor and cleaning your kitchen. Leave that to the professionals providing you with cheap Washington DC home cleaning services. Make more time to show your guests everything DC has to offer, whether it’s a stroll to the Lincoln Memorial or a visit to the Library of Congress. Many DC residents face long commutes, especially those traveling in from the suburbs of Maryland or Virginia every morning. That means free time comes at a premium, particularly if you have a family to raise. Luckily, Washington DC home cleaning services through Handy will help you take control of your life, so you can spend more time with your family and do the things you love, from cycling in Rock Creek Park to seeing the latest exhibits at the National Mall. When you need professional cleaners at the lowest price, Handy should always be your number one choice for arranging home cleaning services in Washington DC.